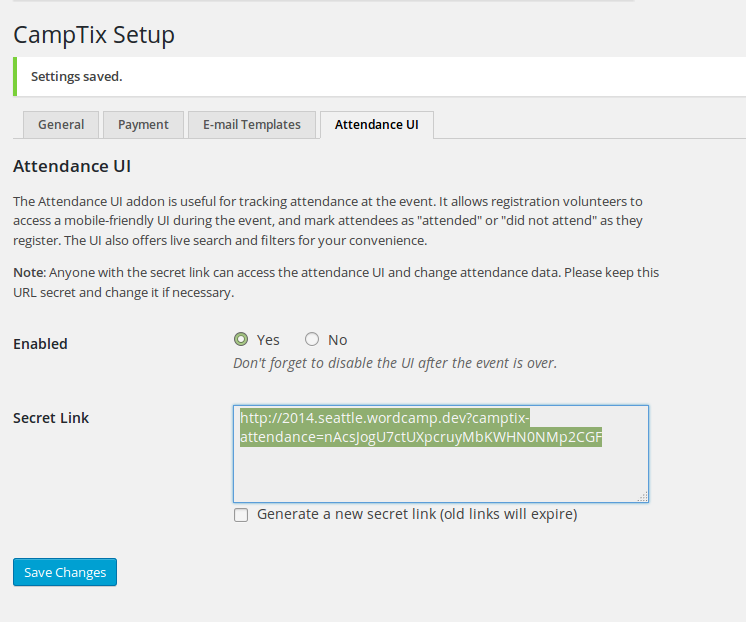 Currently when using the Attendance UI Plugin secret link is disabled and can only be copied by viewing the source. This pass changes this field to be "readonly" instead of "disabled" allowing the link text can't be manually changed by can be copied. 1359.diff​ (1004 bytes) - added by BandonRandon 3 years ago. 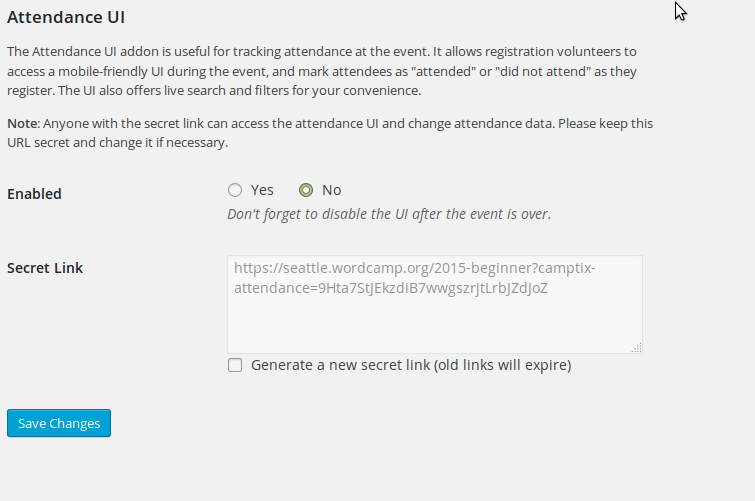 CampTix Attendance: Make Secret Link field readonly so URL can be copied.